Unique attractiveness & fashionable flair to this stylish. Check this out! 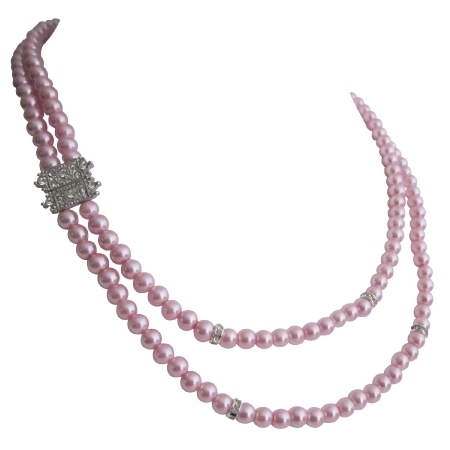 Pink Pearls Long Double Stranded Necklace with Rectangular rhinestones spacer & small cubic zircon diamond spacer bright beautiful a perfect piece for anyone to wear for a formal or casual occasion. This necklace is a great gift to female friends & relatives. Choose her favorite color & we can customize special color for gift someone in special color.